2017 Suzuki GSX250R Fuel Exhausts Available NOW! 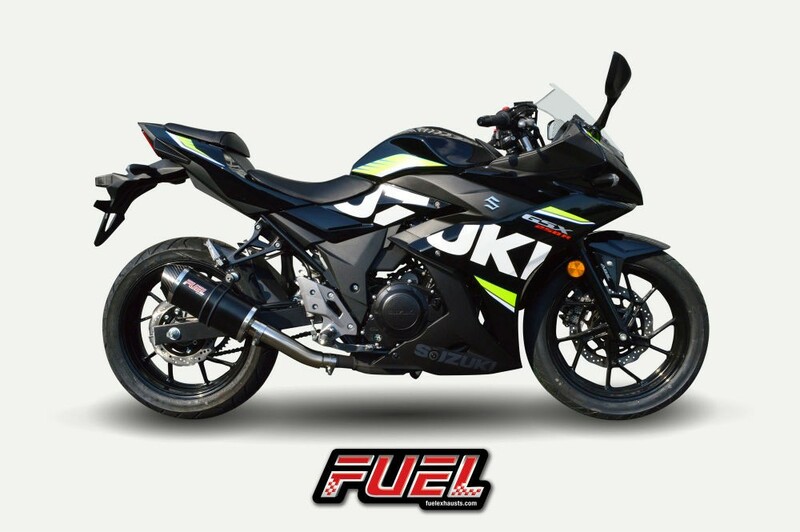 The Suzuki GSX250R is a fully faired street-sport machine introduced in 2017. With Katana heritage styling, this sport bike appeals to a broad range of motorcyclists as it is equally at home on a daily commute as it is on extended outings. Suzuki market the GSX250R as 'a sports machine that brings excitement and riding satisfaction of Suzuki's sport bike heritage to a broader audience'. Fit a Fuel Exhaust to improve the looks, performance and sound too! 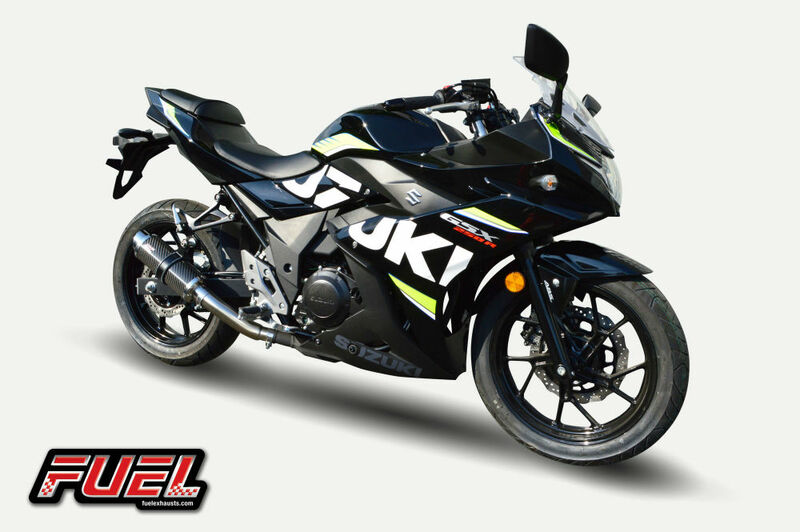 We manufacture our full exhaust range for the Suzuki GSX250R models, in a variety of finishes and sleeve lengths so you can really personalise your ride. 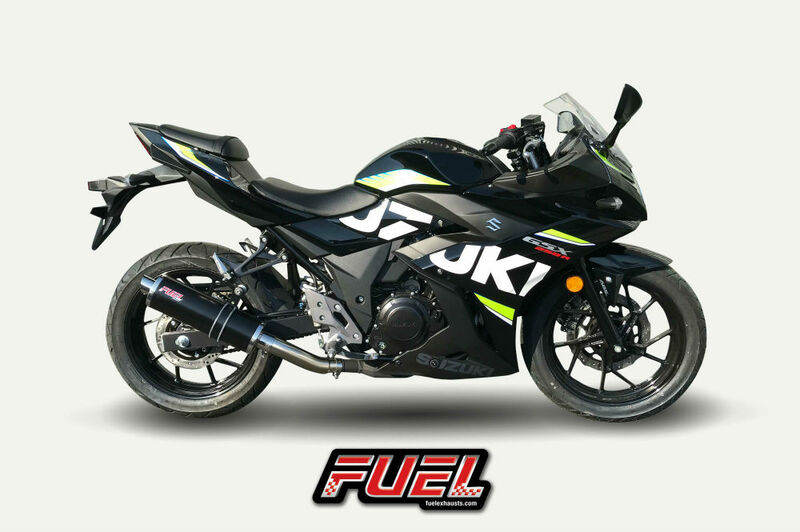 For availability, prices, technical information and further details view our Suzuki GSX250R and start building your exhaust today!